Firstly – I was one of the team that pulled together the Cardiff Start launch. 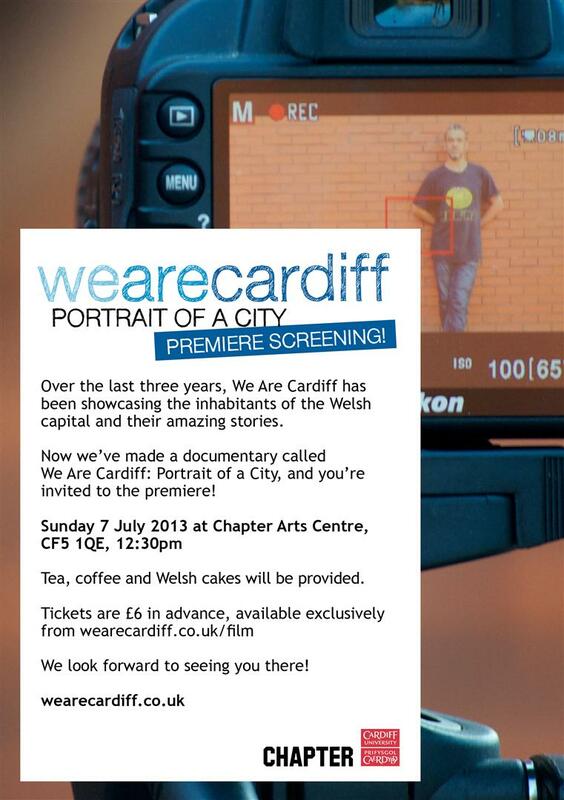 And secondly, I was a micro-investor, and was interviewed, for the upcoming We Are Cardiff documentary. There’s a launch screening party at Chapter Arts Centre on Sunday 7th July at 12:30pm (lunchtime). Tickets are available for the very reasonable price of £6 and there will coffee, tea and welshcakes! Please try not to boo too loudly if and when I make it to screen. Previous Digital 2013 – does it reflect the needs of the startup community?